Creating closed captions for YouTube is a relatively straight-forward process. Let’s break down the steps. Hi this is Flawless Transcription. Our topic is closed captioning for YouTube. This is where it gets a little trickier. I believe the most compatible file format for YouTube is an .SRT file. To create an .SRT file you can purchase software like Telestream’s MacCaption, however their packages start at $1,095, so if you’re just starting out as a YouTube content creator this might be out of your price range. Once you’ve formatted your text file for captioning be sure to select “UTF-8” for encoding and save it as a .SRT file (not TXT file, which is the default format for Notepad). Once your video is live on YouTube and you have your SRT file, follow the instructions on this page from Google. You will want to select the “Upload a File” option once you’re on YouTube. Select the .SRT file you’ve created and your captions should be ready to go. Any questions? Please feel free to contact us. 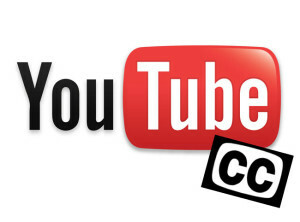 If you have videos (YouTube or otherwise) that need captioning we are always available. Be sure to check out our closed captioning page or request a quote.